The many carpet selections supplied by The Carpet Guys for installation offers homeowners comfort, warmth and softness. As a result, carpet is quieter than any kind of flooring on the market, no matter the price. Our carpet company is owned and operated here in Troy, MI. The in-stock options we carry offer the best carpet prices on quality carpeting, which can be installed next-day. We would love to show you how today's carpet textures, styles and colors can blend well with any home’s decor. 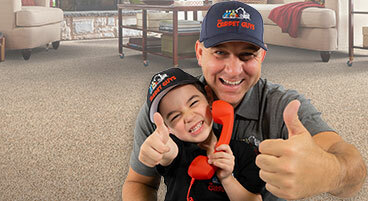 With The Carpet Guys, you can always find the best prices for carpeting that will enrich any interior setting, while giving you years of satisfaction and comfort. We proudly serve Oakland, Macomb, Wayne and Washtenaw counties with the best carpet installation prices for a white glove service. In an era when carpet stores with traditional showrooms and pushy sales people are fading into obscurity and ultimately going out of business, educated consumers are finding that the best way to buy carpet is from a shop-at-home carpet dealer. Multiple factors contribute to this change in consumer trends, and choosing to do business with a shop-at-home carpet retailer offers a more relaxed buying experience for homeowners. Being able to see and touch an assortment of flooring options from the comfort of your own home makes the buying process far less stressful, as homeowners can more easily match different styles and colors with the color palette and décor of their home, against their walls and next to their furniture. Without the having the large overhead and expenses that come along with a operating a super-sized retail store built into their flooring’s price tag, most consumers are able to save money by shopping from home. The cost of operating a big box-store or showroom filled with dozens of hourly clerks and employees is much higher than the cost of operating a home-shopping service. This allows the shop-at-home consumer to get a much better bang for their buck in most cases. The inviting look of cut-pile textured carpet adds warmth and depth to any home’s decor. The Carpet Guys stock a wide selection of beautiful textures to dress up any part of your home. Plush carpets offer the look and feel of absolute luxury, while giving a more formal appearance to your home, and complementing any type of decor. Plush carpets come in both solid and flecked colors, and add style and beauty to any room in your home. Also known as California Berber, a twisted Frieze provides a spectacular look of quality and casual styling. The Carpet Guys Friezes add definite flair and personality to living rooms, bedrooms, or just about any area of your home. Most Frieze carpets have a loose, casual texture as well as a mild-to-busy multi-tonal fleck making it a great choice for today's active families. Frieze carpets are manufactured in both short as well as slightly shaggy heights, require far less maintenance, and are more forgiving to the spills and mishaps that are often common in busy households. Berbers are aesthetically pleasing, come in a wonderful variety of cozy earth-tones and textures, and are built to last in even the heaviest of high-traffic areas. Long lasting, durable and stylish, Berber carpet from The Carpet Guys is a great selection for the most demanding households. Dense, multi-leveled styles create extra interest underfoot. The Carpet Guys’ Loop carpeting is available in the most sought-after multi-colored looks and patterns. Click on the Contact button above to set up your FREE in-home consultation with one of our knowledgeable design consultants who will come to your home with an array of carpet samples to assist you in finding the perfect product for your family’s flooring needs. We carry all of the best carpeting on the market, including product lines from Shaw Carpet, Phenix, TufTex, Mohawk, DuPont Stain Master, Vision Carpet Mills, Savannah Carpets, Dream Weaver and many other industry leaders. The Carpet Guys also offer several stain-resistant carpets from Mohawk’s Smart Strand line, multiple products treated with 3M Scotch-Guard, and products made with partially recycled materials for eco-conscious homeowners.